Now that Mother's Day has come and gone this year, it's time to start thinking about what you'll get Dad for Father's Day. That can be a tough one, because dads always seem to have everything already. Well, this year you can find the best Father's Day gift ideas at the same place you go to find everything you need to plan a beautiful wedding. WhereBridesGo.com is not only where to go for what brides love, but for what dads love too! If your father doesn't really seem to need anything, get him something fun that he might not buy for himself. Think about his favorite things, the hobbies he has, the activities he enjoys the most, and then start looking for cool items in those fields of interest. For the man that enjoys sports, there are lots of great gift ideas. Men that play golf probably own a set of clubs they love, but you can pick up a few other accessories. New balls, golf towels, or a personalized shoe bag to keep his gear together. We carry an awesome metal ammunition box for hunting enthusiasts that can be personalized with Dad's name and the hunting club emblem or American icon of your choice. 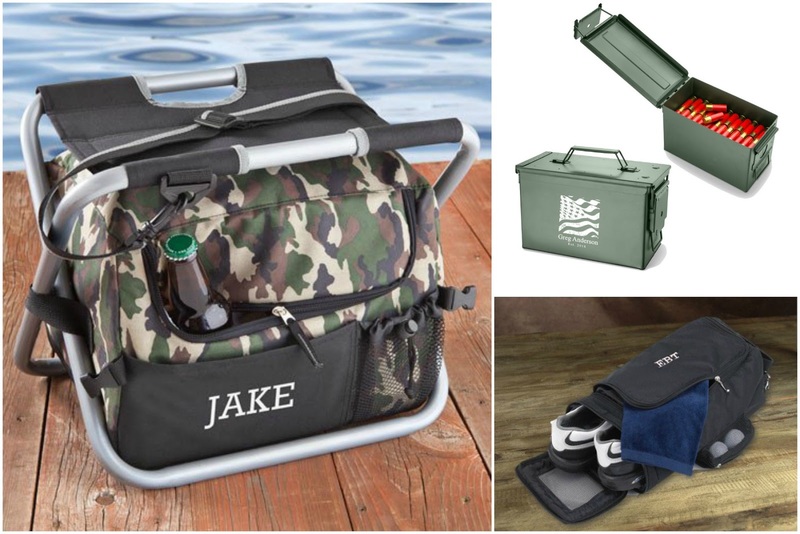 For anyone that loves to fish in the great outdoors, we've got comfortable seats in a variety of color choices that double as a handy cooler to keep cold drinks within arms' reach on a hot, summer day. 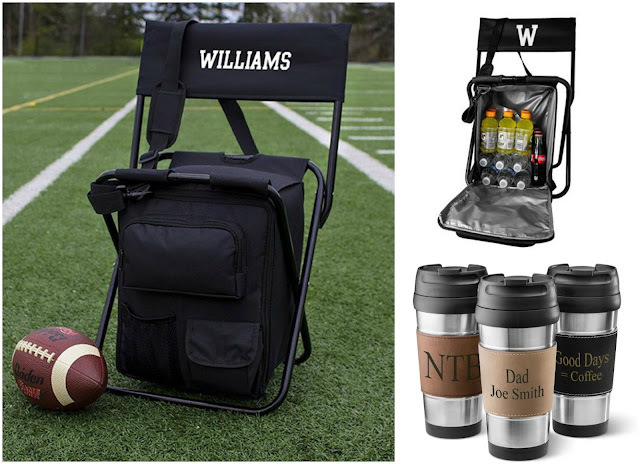 If Dad is more of a spectator when it comes to sports, be it professional teams of watching the kids or grandkids on the field, maybe he'd like some cool tailgating gear. The All-In-One Tailgate Cooler Chair from WhereBridesGo.com offers a comfy place to sit plus a place to keep beverages cold. If your father is more of a hot coffee drinker, a monogrammed, insulated mug just might be the perfect gift for him. Lots of dads love to grill. At home, he's probably got a setup he already loves, but what about when he's tailgating or out at a park or at the beach with the family? The Personalized Cooler with a Portable Grill pictured below is perfect for the grill-master on the go, and the case doubles as a handy insulated cooler. Your dad needs a place to keep all of the cool stuff that he has, so maybe you should consider getting him a unique storage solution for his favorite things. 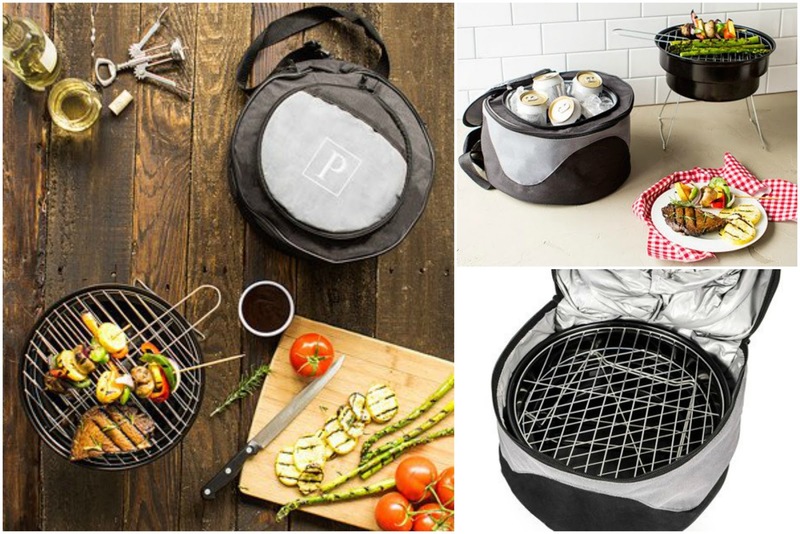 A king of the BBQ should not only have his own specialized equipment, but also an incredible, personalized case to keep it in when he's not cooking. 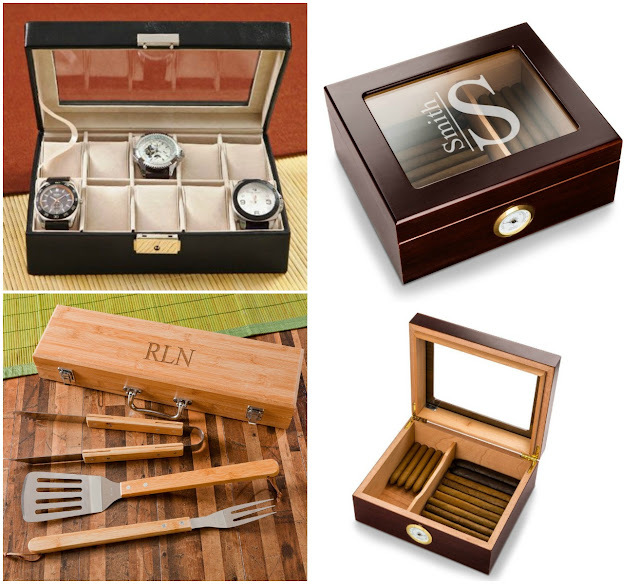 If your dad has a nice collection of watches, you could buy him a fancy case to store them all in. For the cigar loving men out there, a gorgeous Monogrammed Capri Glass Top Mahogany Humidor is just the thing to put a smile on his face. If your dad is on the road a lot, or you want to encourage him to make a trip to visit you more often, a few travel items could be an excellent Father's Day gift idea. 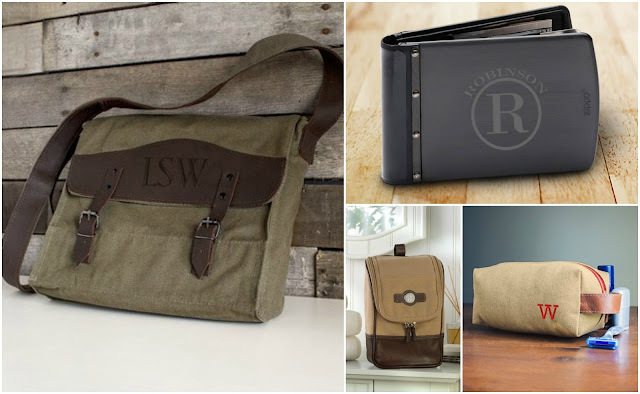 A Canvas and Leather Messenger Bag is the perfect carry-on, and it also makes a wonderful laptop bag. A dopp kit or toiletry bag will hold all of his travel necessities in one spot. If you want to go with a classic gift, wallets are great. Our Zippo stainless and rubber wallet offers both style and protection. This unique gift is virtually indestructible, and it provides credit card theft protection by deflecting signals sent from a Radio Frequency ID chip. It's also extremely lightweight and comfortable to carry. If you're looking for something different than the usual present, this is it. ...when you head on over to WhereBridesGo.com. 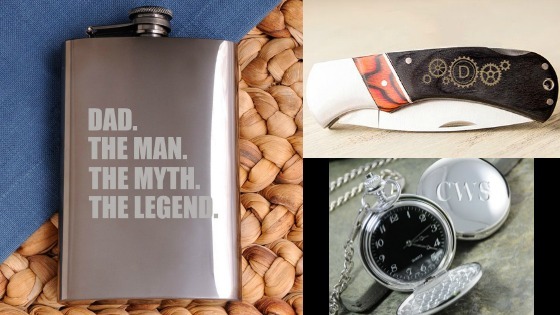 Right now is the perfect time to start looking for the best Father's Day gifts online so that you can make a decision, choose a personalization, and get it ordered to show up in time for Father's Day. If Dad lives in another town, you can even have it shipped directly to him! Your dad deserves an amazing gift, and we carry only the best when it comes to special items for that important man in your life.